﻿ Who? | We're not taking a year off…we're taking on a year. 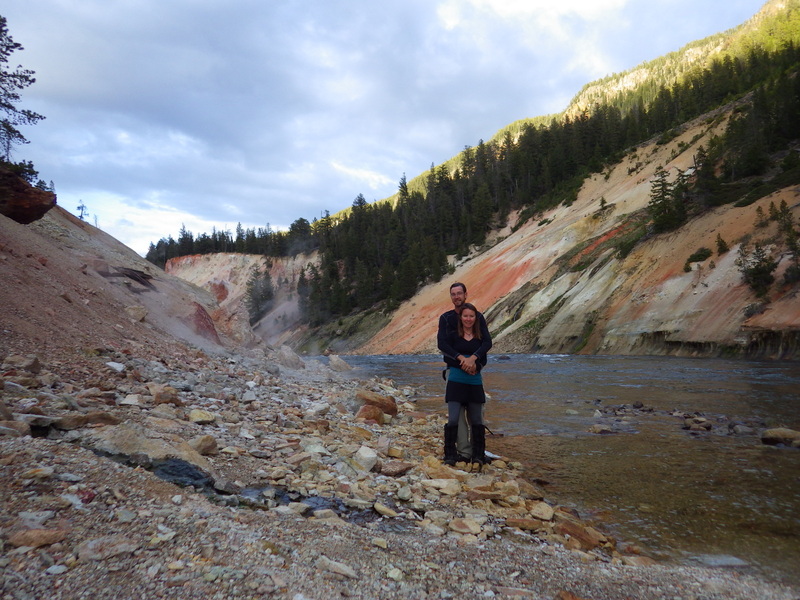 We are Scott and Tiffany Sink from Cheyenne, Wyoming and we love to travel. Most of all, we want everyone to know that we aren’t special and that anyone can pretire with good planning. Tiffany worked as a Registered Dietitian at the hospital in Cheyenne. Scott is a travel writer with a Ph.D. in Forest Ecology. We celebrated 10 years as a couple in December 2015. We enjoy hiking, backpacking, kayaking, and exploring new places together, which we write about on our travel blog. Between the two of us, we have lived in 10 states: Alaska, Arizona, Arkansas, California, Colorado, New York, North Carolina, Ohio, Tennessee, and Wyoming. Altogether we earned 7 college degrees and we both strongly believe in the importance of lifelong learning. We feel traveling is a great way to expand cultural horizons, study history in an interactive way, and get in touch with the natural world. Outdoor adventures are the focus of many of our destinations, but we plan to stop at historically significant places, as well. The beauty of nature is all around us, regardless of where you live. We want to experience the wonders of the United States and share them in photographs and words on this website. We look forward to taking another pretirement someday after 2016.